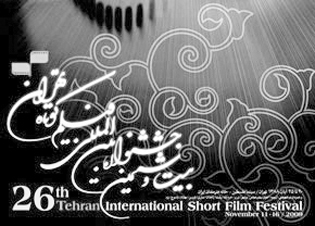 Tehran Short Film Festival is one of the most purposeful festivals held in Iran. it is a venue for screening a selection of short films produced in the course of the year. Since short films cannot be screened at movie theaters, the festival is the best opportunity for watching films made by young directors. During the current year, Nasser Gholamrezaei (director), Ensiyeh Shah-Hosseini (director), Mohammad Dormanesh (director), Saeed Mostaghasi (film critic), and Kaveh Bahrami-Moqaddam (short film director) selected films and a jury consisting of Mehrdad Oskui (documentarian), Mohammad Reza Aslani (director), Mohammad Reza Arab (director), Abdollah Alimorad (animator), Mohammad Gabrlou (film critic), Ahmad Reza Garshasebi (director) and Mahnaz Mazaheri (arts expert) judged the films. The main problem with major Iranian film festivals (like Fajr Festival, Cinema Verite…) is high number of sections and prizes that are given out in the closing ceremony. This is also true about Tehran Short Film Festival. Best films, best director, best screenplay, best actor… were judged and introduced in ten sections. As a result of numerous sections, the closing ceremony usually talks hours to end and the audience is apt to lose sight of who has won the main prizes. Festival officials say high number of sections is meant to support and encourage young filmmakers. Like other important film festivals, Short Film Festival is an international event and this year’s edition included films from other countries. The best drama of international competition section was from Norway while a Scottish film won the festival statue. The best documentary and animation prizes went to Italian and Hungarian productions. From Iran, Mahaya Petrosian (famous actress of Iranian comedies) won the best film prize of the Asian competition section for her first experience in film direction. Other selected filmmakers of this year’s festival included Houman Seyedi, Naqi Ne’mati, Mahin Javaheriyan, Kaveh Bahrami-Moqaddam, and Houshmand Vara’i.